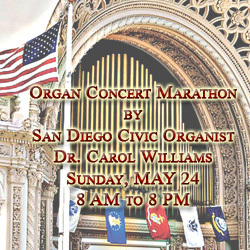 May 24 – Twelve Hour Concert starts 8 a.m.
Free MARATHON CONCERT on the great Spreckels Organ, featuring San Diego Civic Organist Dr. Carol williams, benefiting Operation Rebound of the Challenged Athletes Foundation (CAF) with a Goal of $20,000 !! 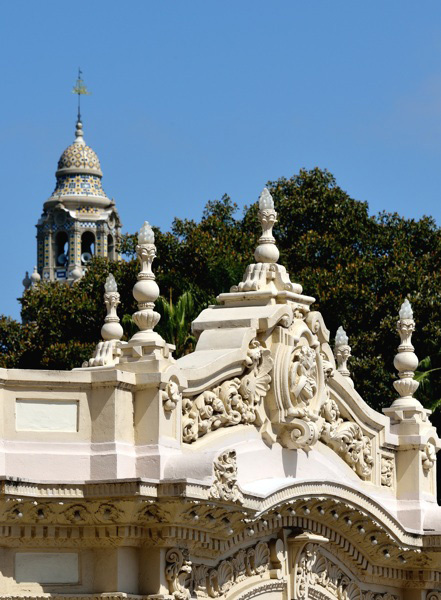 Organ Pavilion Building will be open from 10am onwards so visitors may view the pipes. Live Webcast commences at 2 p.m.
← This Sunday at 2 p.m.